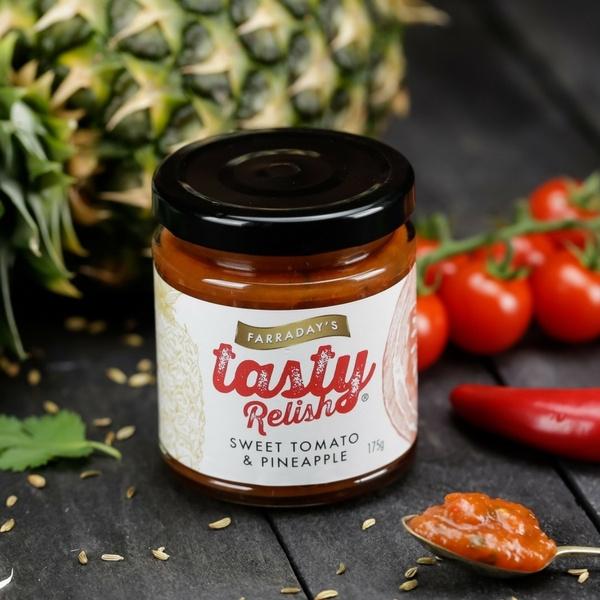 Originating from Suriname, a tiny country on the North Easten coast of South America, this delicious combination of spicy pickle with ginger, lemon grass, chilli pepper and garlic enables customers to provide an accompaniment to dishes that need an extra kick of deliciousness! 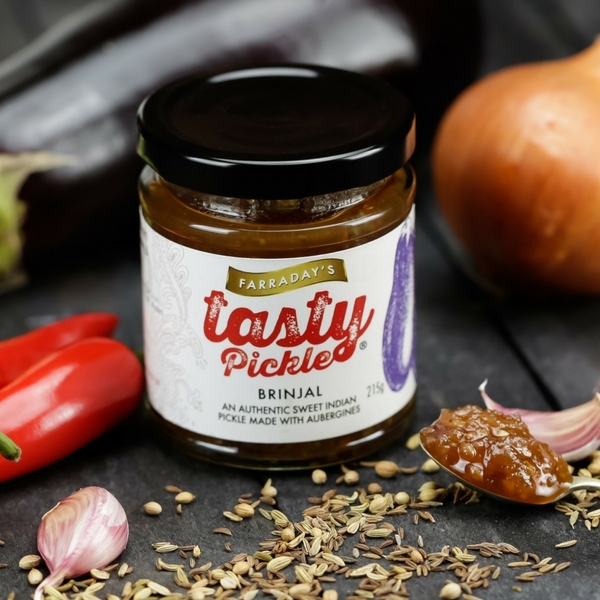 The Surninamese Pickle makes a great addition to pies, cheese, poppadoms and will contribute towards making on fabulous sandwich. 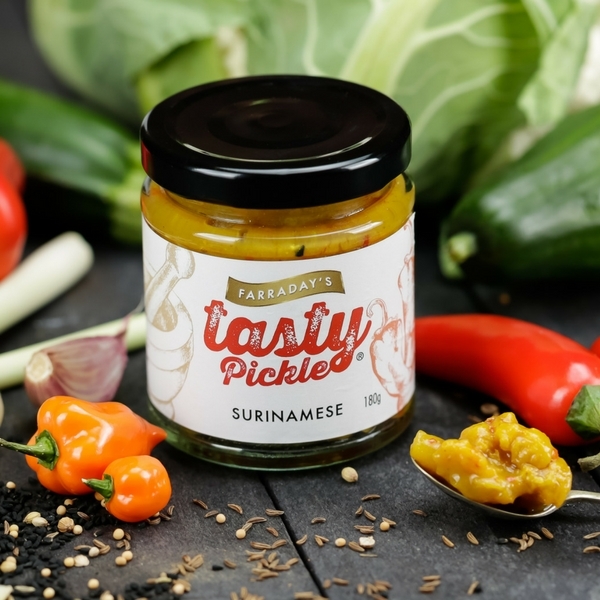 The Surninamese Pickle is completely free from preservatives, additives, is gluten free and 100% natural. 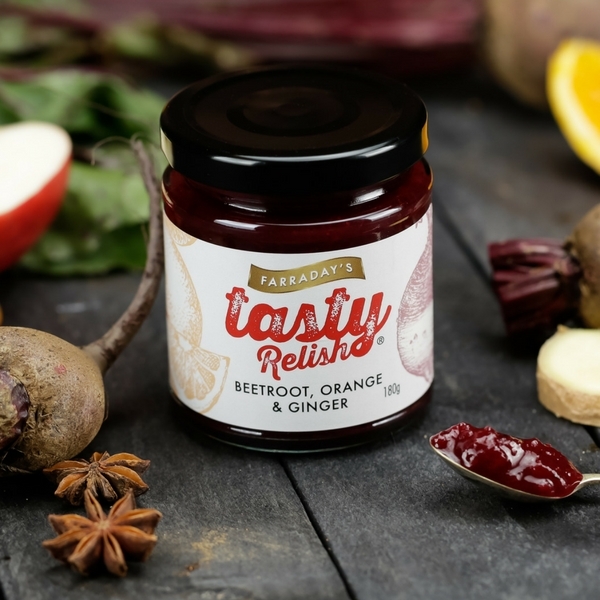 Ingredients – Mixed pickled vegetables (Cauliflower, Cucumber, Courgettes, Red Peppers, Baby Onions), Chili, Ginger, Garlic, Lemon Grass, Acetic Acid, Sugar, Salt, Cornflour, Turmeric, Mustard seed, Mustard Powder, Nigella Seed and Spices. 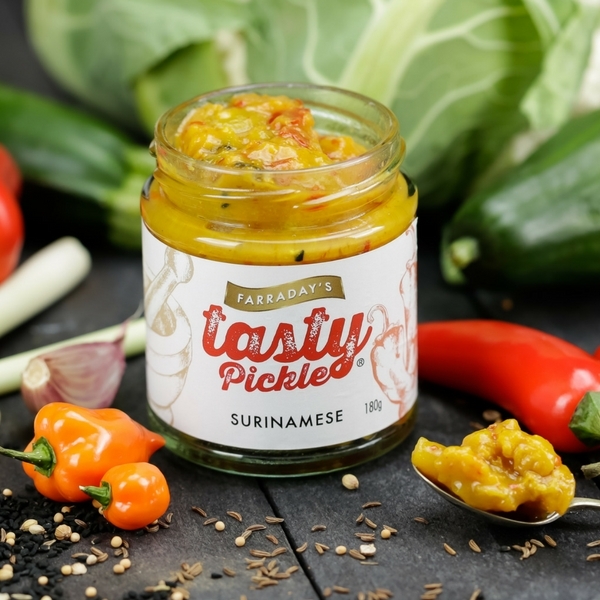 Surinamese Pickle Per 100g – Energy Kcal 89, Energy kj 376, Protein 1.7, Carbohydrate 16.6, Sugars 12.5, Fats 0.9, Saturates 0.1, Fibre 1.5, Salt 2.2. 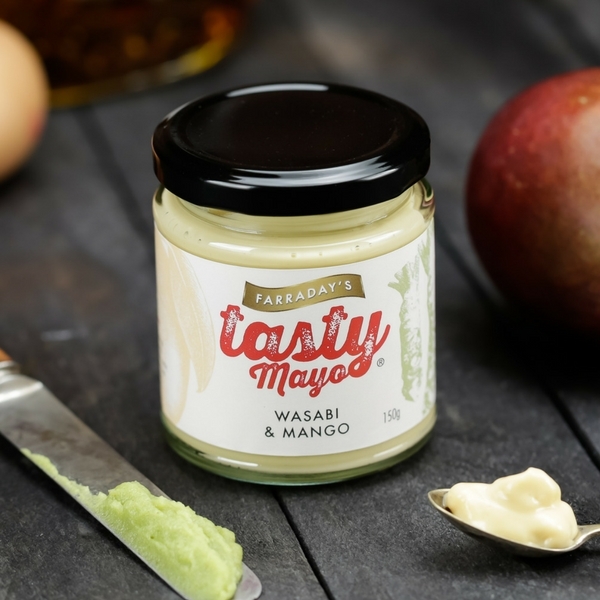 Also available in a 1kg catering pack (use our contact form to request more info).